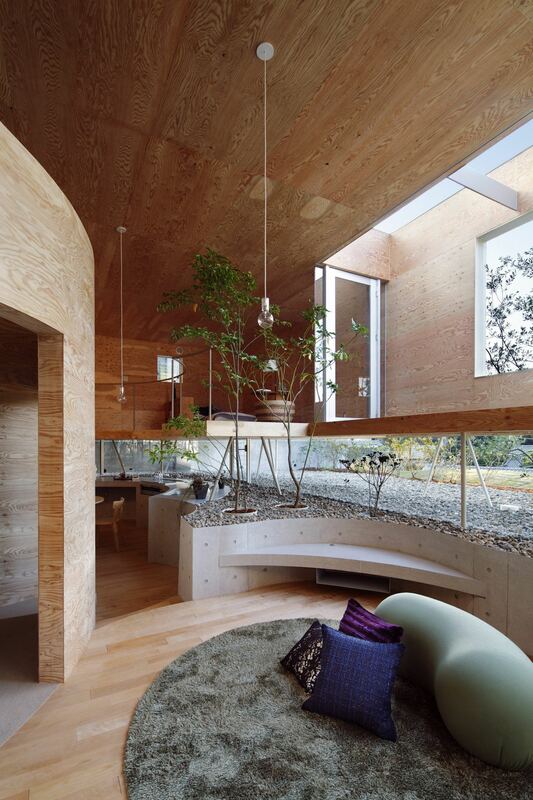 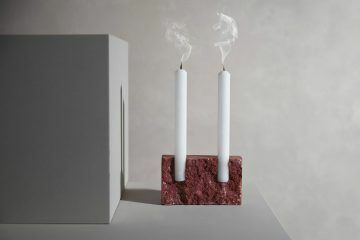 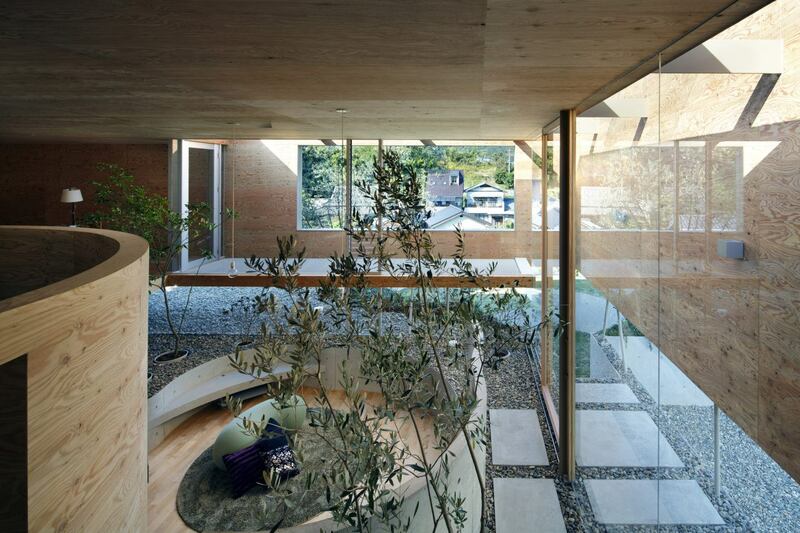 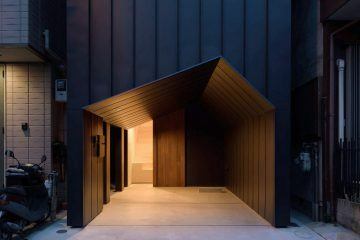 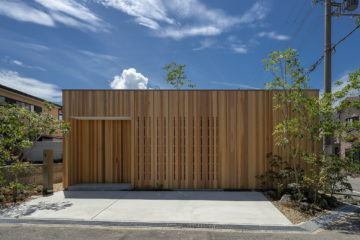 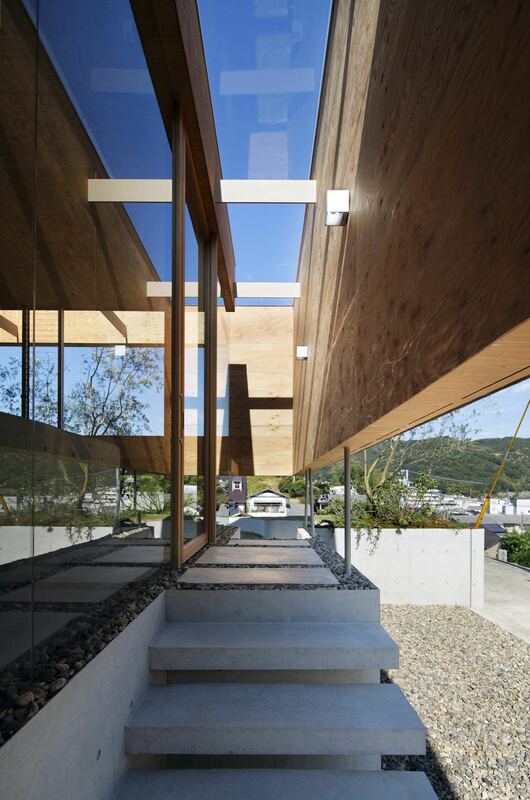 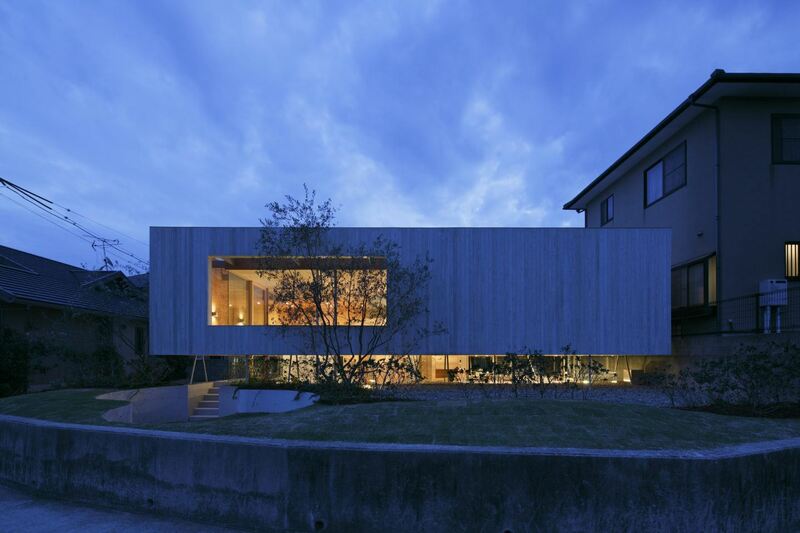 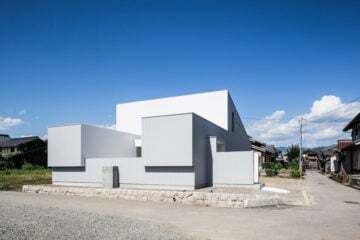 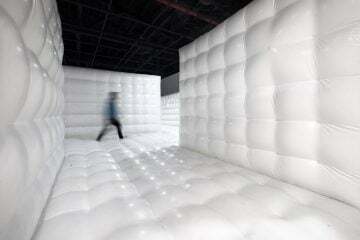 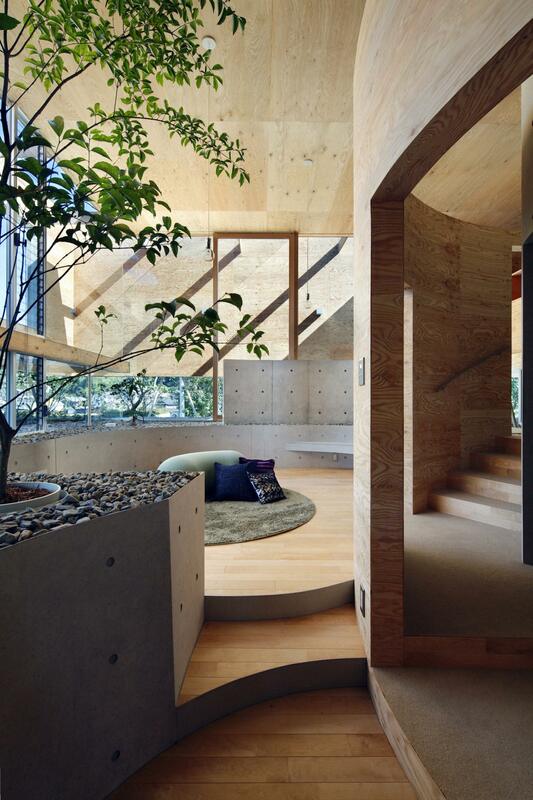 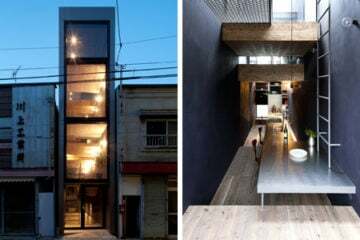 Located in the Okayama Prefecture in Japan, is a residence designed by Keisuke Madea of UID Architects. 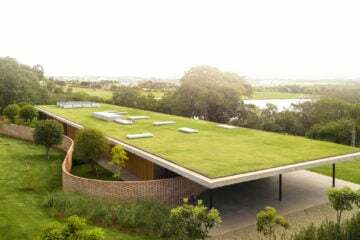 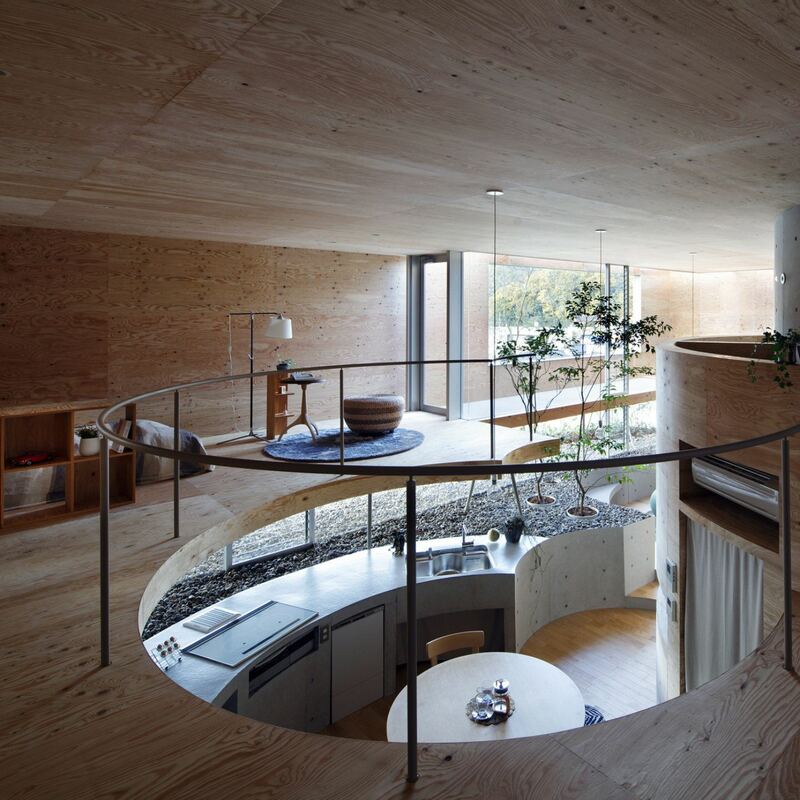 Aptly titled ‘Pit House’, the name is a reference to the six excavated ‘pit’ shaped spaces that provide a combination of circular living rooms and terraces in the garden. 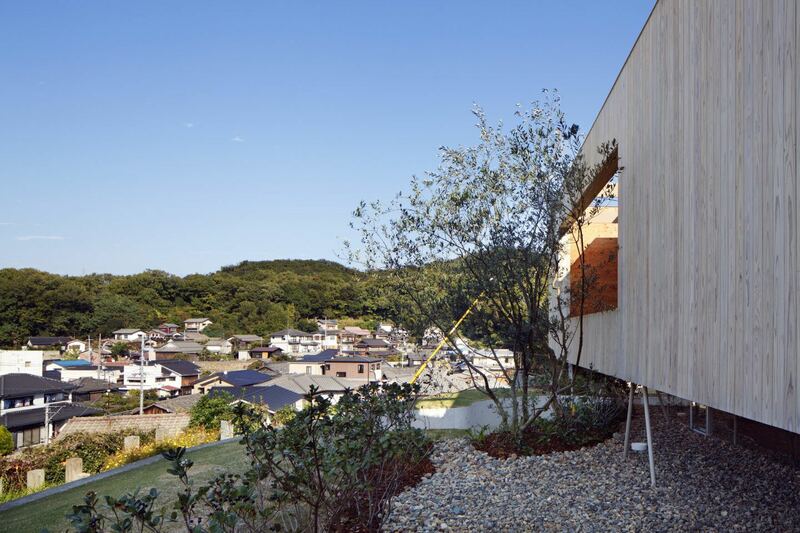 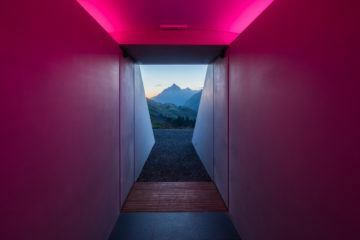 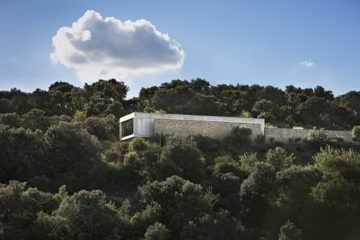 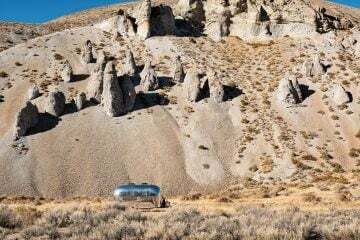 The 138 square-meter structure was built into the hillside site with a 360-degree view of the surrounding area. 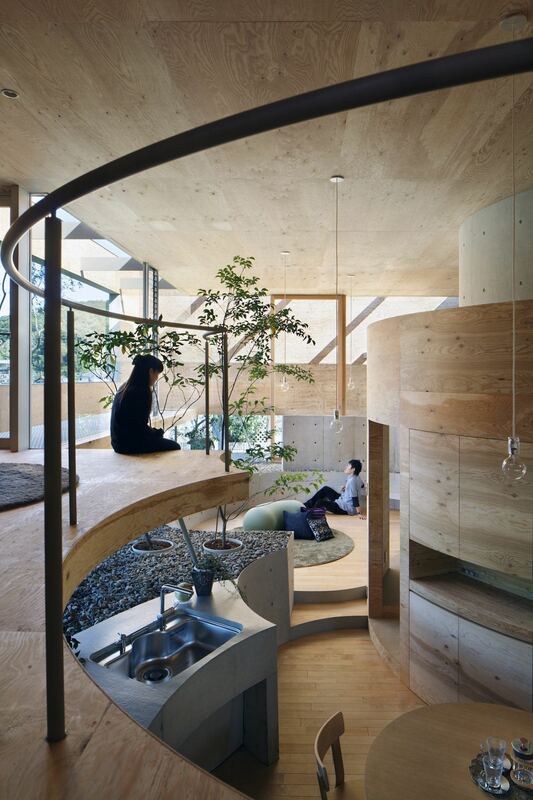 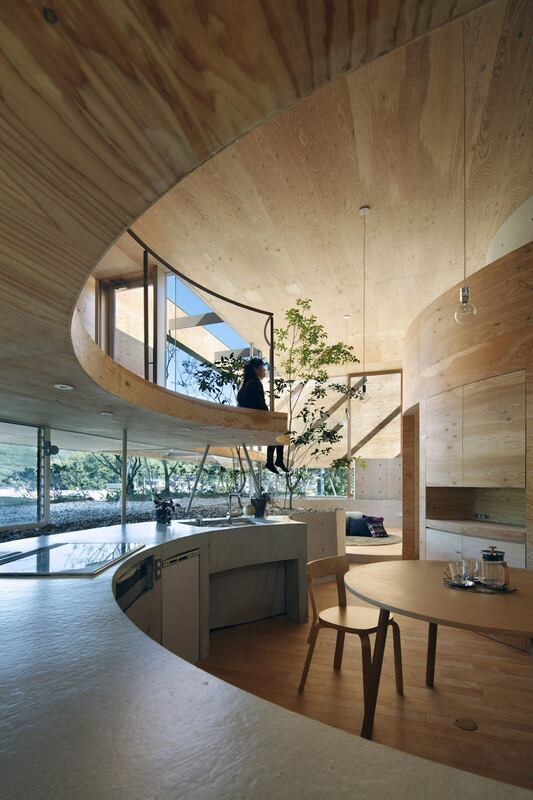 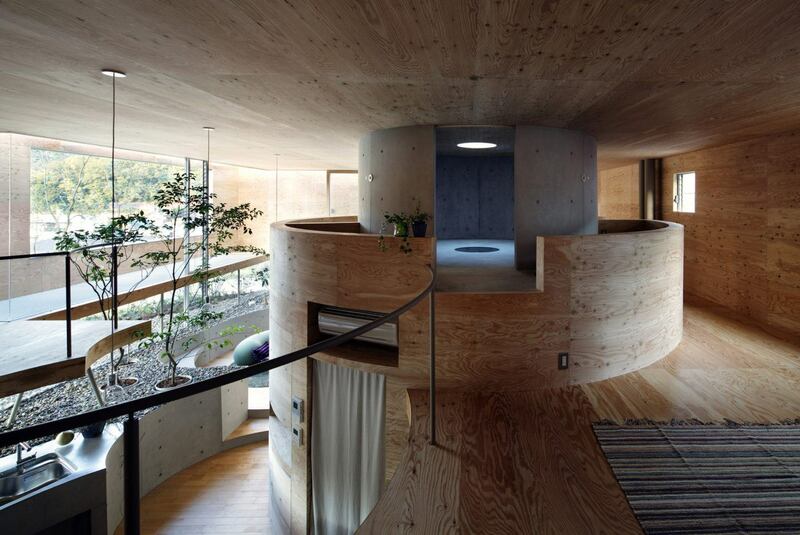 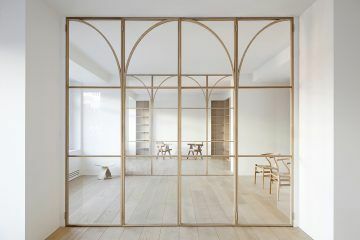 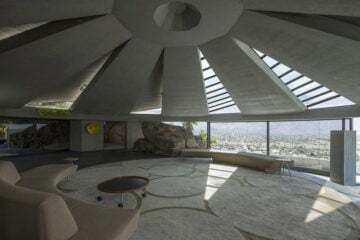 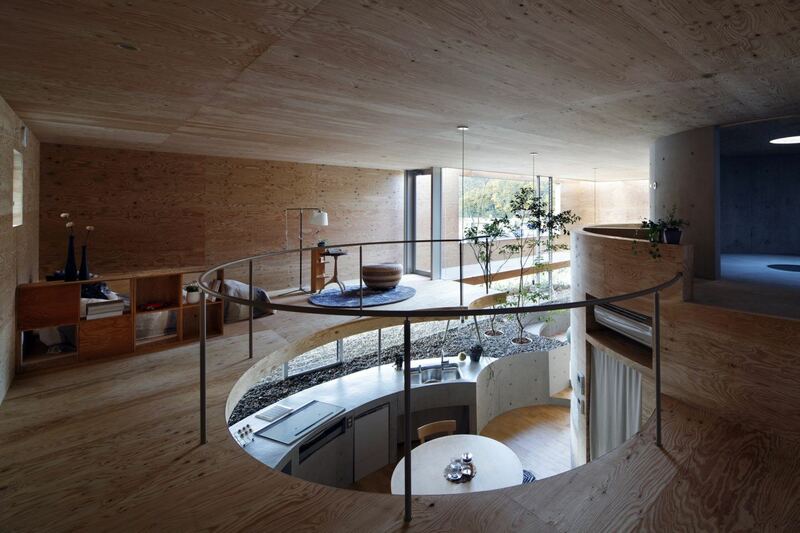 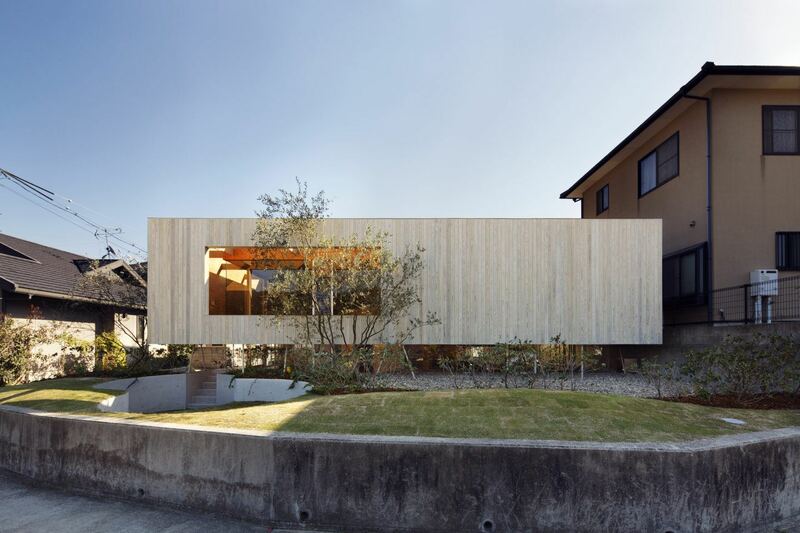 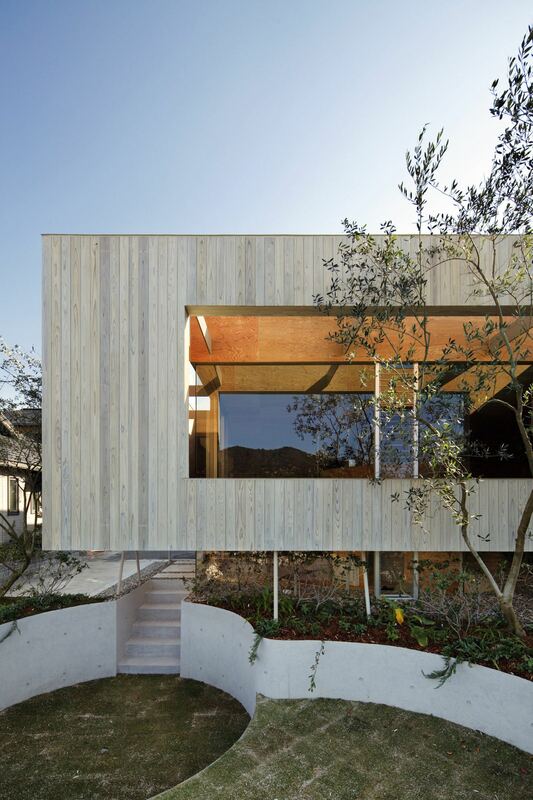 Inside, snail-like curving walls are clad in timber and connect varying levels to a concrete cylinder at the center of the property. 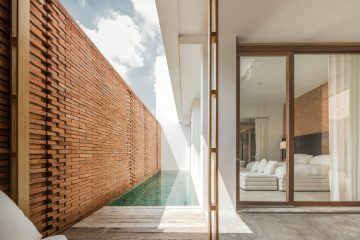 A rectangular glass wall wraps around the living areas, opening the space up to natural light. 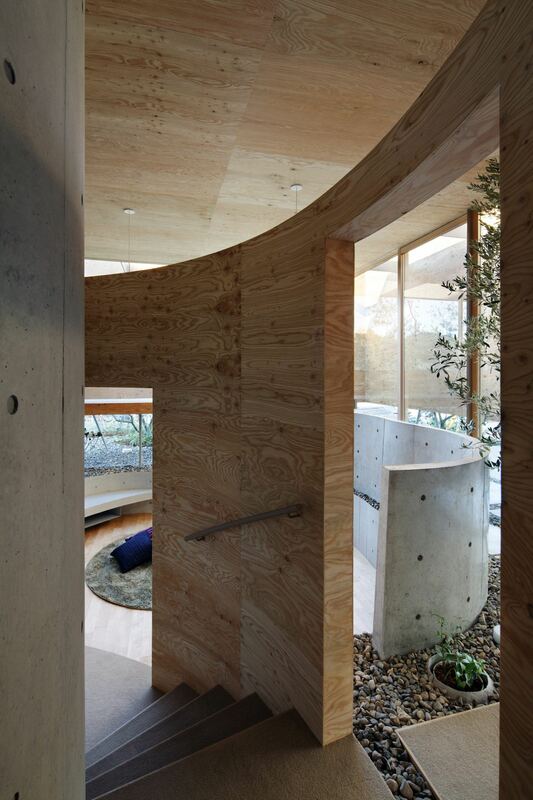 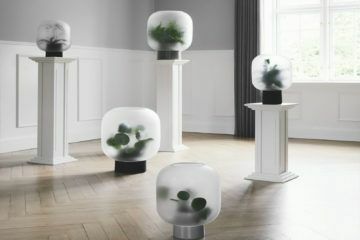 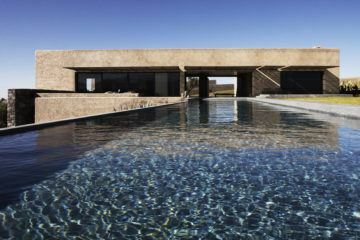 The interior is interspersed with multiple indoor trees, and grey pebbles line the ground both inside and out in the garden, blurring the lines between indoor and outdoor.